Alliance Hangers (Far East) Limited and its sister companies are members of a group of international companies specializing in the supply of quality garment hangers. We are more than just a hanger manufacturer. We offer hanger solutions that include market place studies, new concept designs, environmental considerations and logistic enhancement work. We have a proven track record of providing value added services to retailers worldwide. We are committed to maintaining long term business relationships with both our garment manufacturers and retailer clients and we achieve this by maintaining competitive prices and excellent services. As a member of GS1/VICS, all our hangers meet their high quality standard as stipulated from time to time. Manufacturing facilities are located in major garment supply regions with our principal plant in China, since over half of the world's garment production for the American markets come from this region. Starting from December 2018, our fully owned brand new hanger factory in Vietnam is operative and it means our high quality hanger production will be further enhanced. You are welcome to browse through the section " Manufacturing Facility " to find out how and where those high quality hangers are produced from the plant. We are proud of our high production standards, flexibility in terms of raw material usage, hanger finishing, printing of logo and packaging and we are responsive to our customer's specific needs. As a responsible manufacturer, we not only serve our customers with professionalism, we also run our factory as according to SA8000 standards. Our factory in DongGuan was certified by SGS as SA8000 compliant. It was also audited using SEDEX approach and was given a "green light" by Wal-mart since 2017. We are conversant with hanger applications in respect to floor ready merchandise standards and our hangers meet international standards on quality requirements. Performance testing report on GS1/VICS hanger application standards and guidelines are available on request. 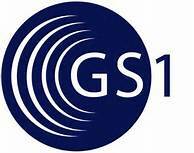 And starting from 2004, we are proud to be a sponsoring member of GS1/VICS organization. We are serving customers on a worldwide basis with experience in providing fast and cost effective distribution services. We are continuously diversifying our hanger production and service centers (currently in DongGuan, Shanghai, Tianjin) in order to ensure an efficient low cost supply of garment hangers. In addition to this successful combination of resources, we have a dynamic and professional team of management who provide well co-ordinated customer support services and just - in - time production management. Continuous investment in human resources, new product development, production technology and supply chain management are all part of our long term strategic plan. This will ensure Alliance Hangers maintains its market competitiveness in this fast changing business environment. You are welcomed to visit our website and you can contact any of our business representatives through email for further information.